Lebanon’s Hezbollah pressed a demand for one of its Sunni allies to be given a post in a new government on Tuesday as politicians sought a compromise to a standoff pitting the Iranian-backed group against prime minister-designate Saad al-Hariri. Hariri, Lebanon’s main Sunni Muslim politician, is trying to clinch a deal on a national unity government more than five months since a general election that produced a parliament tilted in favour of Hezbollah and its allies. A major hurdle was cleared on Monday when a row over Christian representation was settled with the staunchly anti-Hezbollah Christian Lebanese Forces ceding ground to President Michel Aoun and his Free Patriotic Movement, a Hezbollah ally. The row over Sunni representation is the last obstacle to face the government formation process. Hezbollah is insisting that one of its Sunni allies be made a minister. 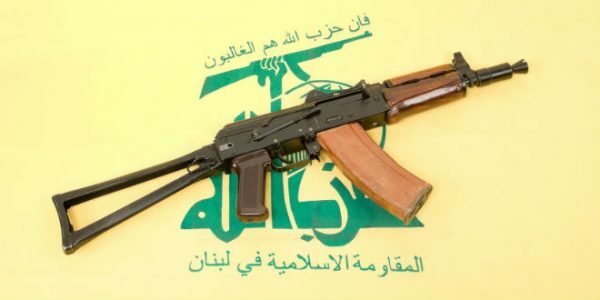 “Our view is that their demand is just and we stand by them,” senior Hezbollah official Hussein Khalil said in televised comments after meeting with the group’s Sunni allies. “I believe the problem of the representation of the independent Sunni MPs is not bigger than the problems that were solved,” he said. Hariri has ruled out giving up one of his cabinet seats. A possible compromise would be for Aoun to appoint one of the Hezbollah-allied Sunnis within a group of ministers named by the head of state. Lebanon is in dire need of a government that can embark on economic reforms that are seen as more pressing than ever. The country is wrestling with the world’s third largest public debt as a proportion of the economy and stagnant growth. Government posts in Lebanon are filled according to a strict sectarian system. The president must be a Maronite Christian, the prime minister a Sunni Muslim and the speaker of parliament a Shi’ite Muslim. Posts in the cabinet of 30 ministers must be split equally between Christians and Muslims. Rashed Fayed, a Future Movement official, said the demand by Hezbollah and its allies was “sudden” and “contrived” after months when the subject had not surfaced in the cabinet discussions. “Saad al-Hariri will not let it pass,” he told Reuters. A second source in the Hariri camp described the row as quite serious and said resolving it “will take time”. Hezbollah, proscribed as a terrorist movement by the United States, is expected to take control of the health ministry, the most significant cabinet post it has held, and to increase its number of ministers to three from two in the outgoing cabinet. In another development Progressive Socialist Party leader Walid Joumblatt Tuesday welcomed the Lebanese Forces’ decision to participate in the forthcoming government, in a tweet from his official account. Joumblatt wrote that the LF’s decision was a “right and wise decision that serves the public interest,” a day after LF leader Samir Geagea announced that the LF had accepted Prime Minister-designate Saad Hariri’s offer to participate in the government. The announcement came after the LF’s parliamentary Strong Republic bloc held an emergency meeting earlier Monday to take a final stance on the issue. The offer would give the LF four posts: the deputy prime minister’s position and the Social Affairs, Culture and Labor ministries. However, the offer fell short of the LF’s persistent demand for the Justice Ministry or a sovereign portfolio. Government formation, which has entered its sixth month of deadlock, has faced several obstacles, the last of which demand Hezbollah ‘s demand over representation of Sunni MPs.